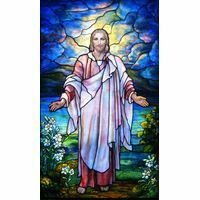 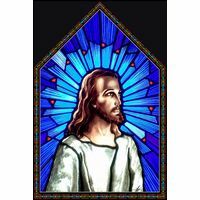 Elegance and grace are the hallmarks of this beautiful work of stained glass art, celebrating two beloved events in the life of Jesus, His baptism by John the Baptist and His bringing the message of everlasting life to the world. 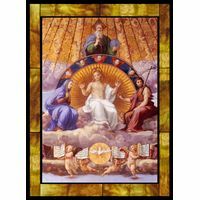 Perfect symmetry and design, coupled with astonishing, vibrant color that crosses the full spectrum bring this stained glass portrayal to life for all who contemplate its beauty. 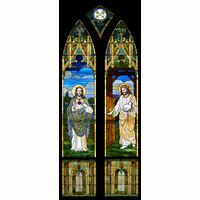 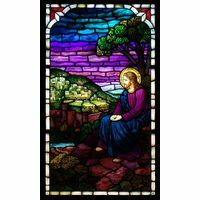 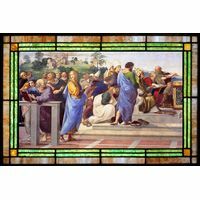 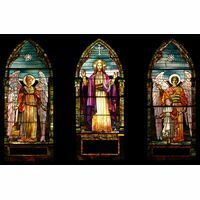 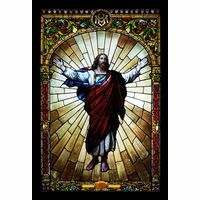 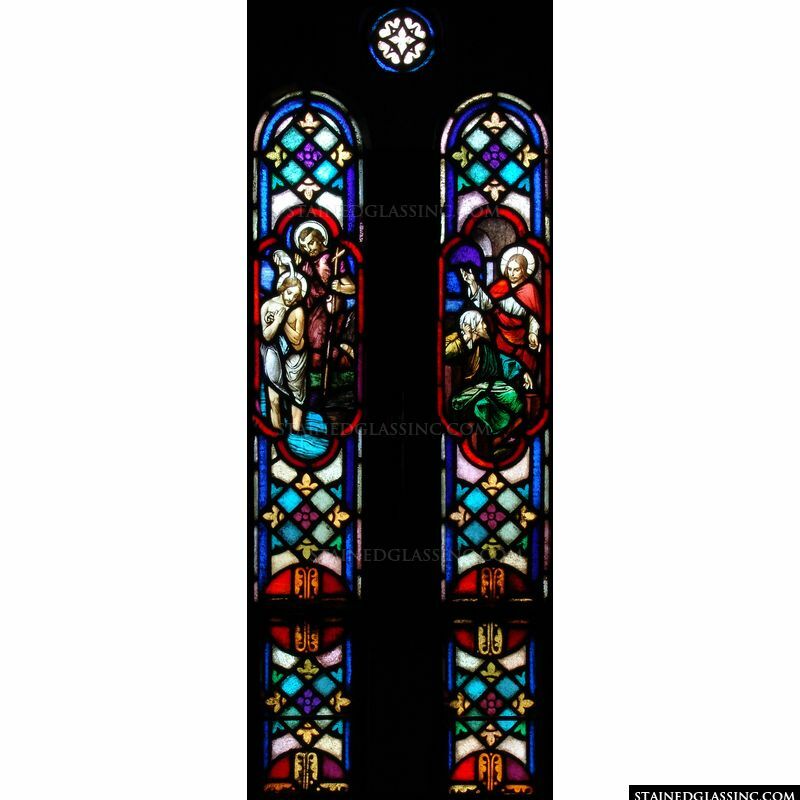 Reflective of ever changing light throughout the day, this lovely stained glass window inspires faith and worshipful reverence in church, chapel or cathedral.